Skynet Immigration and Consultants is a trusted and reliable name in the Canadian Immigration Consulting Firms. We are committed to conduct business with integrity and in a lawful manner while ensuring information safety and protection for our valued clients. We are dedicated to offer and provide reliable immigration services and visa support to our customers. Our quality services will ensure clients business reaches and maintains optimal productivity and efficiency while keeping information safe and sound. Skynet is committed to the loyal and ardent representation of our clients, using our skills and training to seek their legitimate ends. We will abide by our promises and agreements, whether written or oral. In the event of a conflict, we will attempt in good faith to resolve the conflict before terminate the retainer agreement and or cancelling the representation of clients. 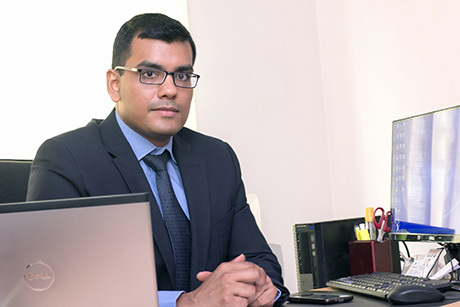 President & CEO of the Skynet Immigration & Consultants, Salekur Rahman is a Regulated Canadian Immigration Consultants and member of ICCRC and CAPIC. He has particular expertise in all areas related to Canadian immigration matters. He provides representation and advice to foreign nationals who are looking to obtain a Canada visa and enter Canada on a permanent or temporary basis. He also facilitates clients in Canada who needs other immigration services, visa or immigration appeal matters. Skynet professionals focus on ethics, code of conduct, appropriate personal interactions and workplace integrity. We do not participate in inappropriate or unlawful behaviors and strives to maintain an unblemished reputation for honesty and fair business dealings with our clients. Skynet integrity includes demonstrating fairness in assessments and processing of client information. Skynet respects and treats clients equally in any sort of situation and avoids real or perceived conflict of interest. Our professionals dedicate themselves to their responsibilities in all ways possible. This includes every effort to do their best work, whether independently or with a team, and to positively represent a client in all aspects. Skynet provides trustworthy services in reasonable service charge. Skynet also provides flexible payment option facility with free assessment. Skynet has also refund policy with certain conditions applied in case of withdrawal of client representation or negative decision outcome.